A few weeks ago I finished a book I had been wanting to read for a long time. 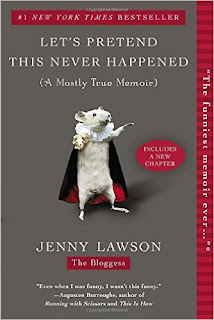 The book is by the lady I refer to as "The Bloggess". One of the bloggers that I have followed off and on for years. Her sense of humor is great but she is also very honest about her struggles with mental illness which I love and appreciate. I came across her book at a library book sale last summer and did not get around to reading it until the end of the school year. Now I will be upfront and say that her sense of humor isn't for everyone....but I loved it. I think she is a great character in a story (yes I know this is an autobiography). She is funny and flawed-you know like a real person! She jokes about her unconventional upbringing and these amazing situations that she finds herself in often. For example she talks about how her dog died and she had to bury him...morbid yes....but the situation she finds herself in is uniquely funny. 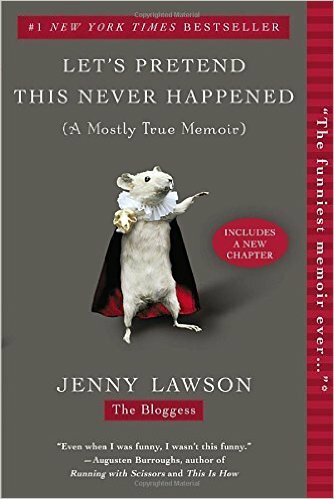 If you are looking for a funny, quick read then this is the book for you!